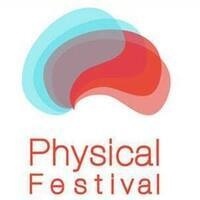 Physical Festival Chicago takes place July 7-12, with workshops hosted by the Columbia College Chicago Theatre Department as well as performances at Links Hall at Constellation by artists from the U.S. and Europe. Workshops include “The Universal Stage” with Single Shoe Productions (consisting of British, Portuguese and American artists), focusing on non-verbal storytelling; “Walkabout Physical Training” with Chicago’s Walkabout Theater, including vigorous movement and chorus work; “Lateral Strategies” with the Spanish company DeCollage, geared towards opening up a space for creative collaboration; and “Space, Body and Imagination” with Washington, D.C.-based artist David Gaines, combining physical and improv exercises. WORKSHOPS COST $50 EACH OR $175 FOR ALL FOUR. SPACE IS LIMITED. Physical theatre pursues storytelling through primarily physical and visual means to create original and contemporary work. It includes a wide variety of styles, approaches and aesthetics, including clown, puppetry, mime, mask, dance-theater, vaudeville and circus among others.